Pioneers in the industry, we offer underbody coatings from India. 1) We provide a quality range of UnderBody Coatings, which in Automobile industry for coating the vehicle bodies from underneath. 2) Ugam PVC Underbody coatings are specially formulated to ensure that these are anti-corrosive and have sound deadening properties. 3) Thus, these coatings are preferred over bituminous coatings owing to the chemical and fuel resistance qualities. 4) The life of these coatings is almost 10 times longer than bituminous sound deadners. 5) We have also developed two pack system chemical curing base PVC under body coating for general market use. 6) These coatings do not require any heating for curing after application. 7) Therefore it is used by refinishing industries or garages. 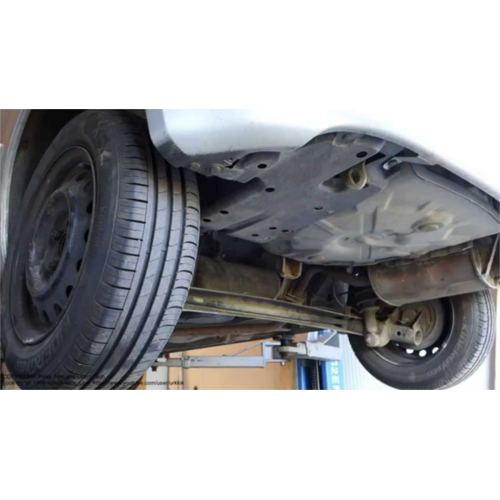 8) This also can be used easily by end user to prevent rusting of underbody of automobile.